Evening Star and Fish Shaped Wind Socks are two Moogle Photo Missions in Kingdom Hearts 3. Both of them can be completed in the same world; although, unfortunately, a little bit of leg work is necessary. Plus, LH3 Evening Star Moogle Photo Mission can be really difficult to pull off. This is because the object of the photo isn’t easy to spot in the first place. 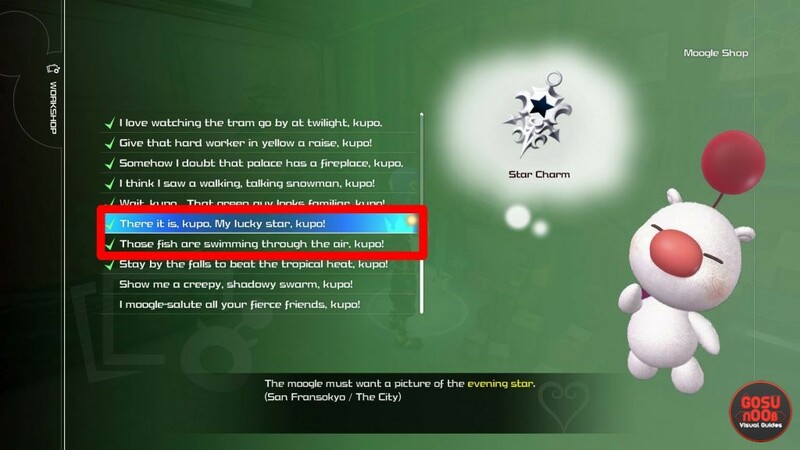 So, with that in mind, we present our Kingdom Hearts 3 Evening Star & Fish-Shaped Wind Socks Photo Mission guide to show you how to complete both of these tasks. How to Complete Evening Star & Fish-Shaped Wind Socks Moogle Photo Missions in Kingdom Hearts 3? To complete the Evening Star Moogle Photo Mission in Kingdom Hearts 3, start from the fifth fast travel point (The City North District: Night). Look to the right, and you’ll see a building that’s all wrapped up in blue neon. It’s to the southwest of the fast travel point. Climb up all the way to the top, and look at the sky to the west. You’ll spot the evening star as a small, white dot. Zoom in as close as the camera let’s you, and make sure that the star is inside the small square that’s the center of the shot. Take a look at the image below to see how it turned out for us. Fortunately for you, you can complete the Fish Shaped Wind Socks Photo Mission on this rooftop, too. They’re all around once you clamber up there, after all. The bad news is that the Moogle requires you to take a picture of the Wind Socks in the daytime. So, go to the fourth fast travel point (The City North District: Day), and climb the same building, then snap a photo of the wind socks. Again, take a look at the screenshot below for reference.